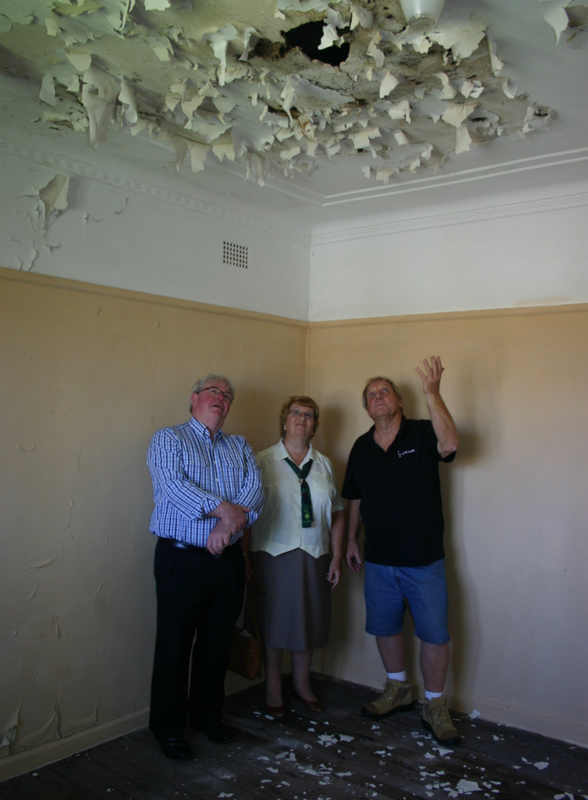 Local Lions Peter Scifleet and Ray Redgrave discuss the extent of the renovations with Lions District Governor Sally Wilton. Council has given the green light to the Lions Clubs of Kiama, Minnamurra and Jamberoo to renovate a disused house on Shoalhaven St as a respite centre for carers. Councillors unanimously approved the project, offering the house at a peppercorn rent, saying they were pleased a currently unused and deteriorating Council owned property will become an asset to the wider community. The ambitious undertaking will turn the former gasworks’ manager’s cottage into a spacious holiday house with three bedrooms (complete with ensuites), where carers can come to ‘recharge their batteries’. There is room for parking and disabled access out the back, and for a deck out the front. A number of local businesses, tradesmen and suppliers have already expressed an interest in assisting Lions with the refurbishment, which is expected to take a year to complete, including negotiating the lease and lodging a DA. The first stage will be to clear the ground surrounding the house and make it watertight. Carers Association of NSW is very enthusiastic about the project, as there are very few respite centres available for their members. Anyone wishing to help should contact Peter Scifleet on 0414 973 388.